Are there people in the world who don’t love fall? The trees turn beautiful colours, the air is cool and crisp and smells like campfires, and hot apple cider and pumpkin pie seem to find their way into every opportunity possible. All I want to do these days is read a book beside a fire while drinking copious amounts of hot beverages and eating cake and the like. Except, I don’t have a fire place. Or any good books right now. Or even any spare time to be doing that. I have barely been finding any time to bake at home lately, and that makes me sad! Who is Tara when she is not baking? Certainly not herself man, certainly not herself. 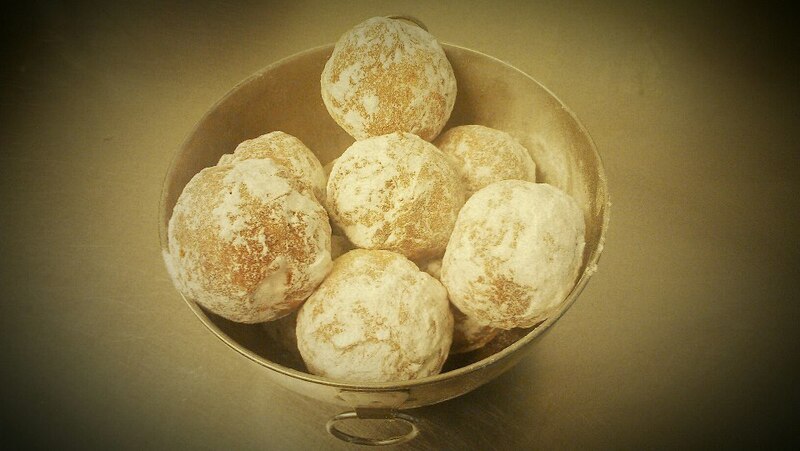 I did make some doughnuts at work, been testing them out as a new addition to the breakfast buffet. They are just a simple brioche dough rolled into balls, proofed, deep-fried and filled. 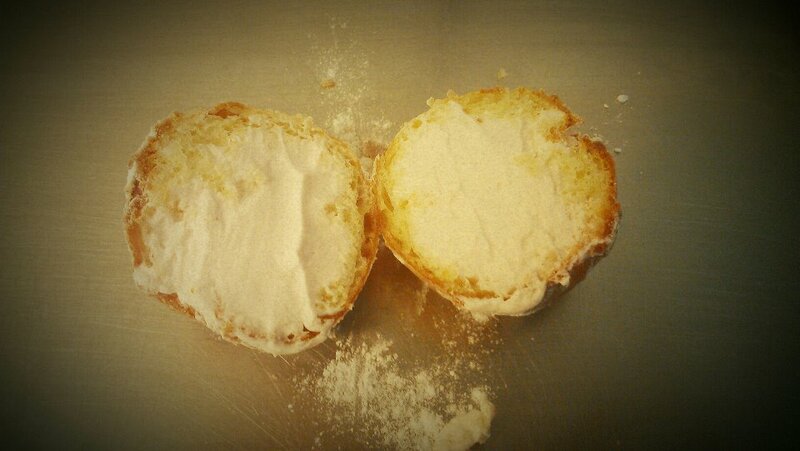 These ones were filled with a strawberry chantilly cream. I had made some before that had a lemon cream in them, and raspberry. I think just rolling them in flavoured sugars would be frigging fantastic too. Doughnuts are cool, but pie is cool too. My family celebrated thanksgiving this past weekend because it’s the only time we could do it. My mom and I made a bunch of tasty desserts. Well, mostly mom did. 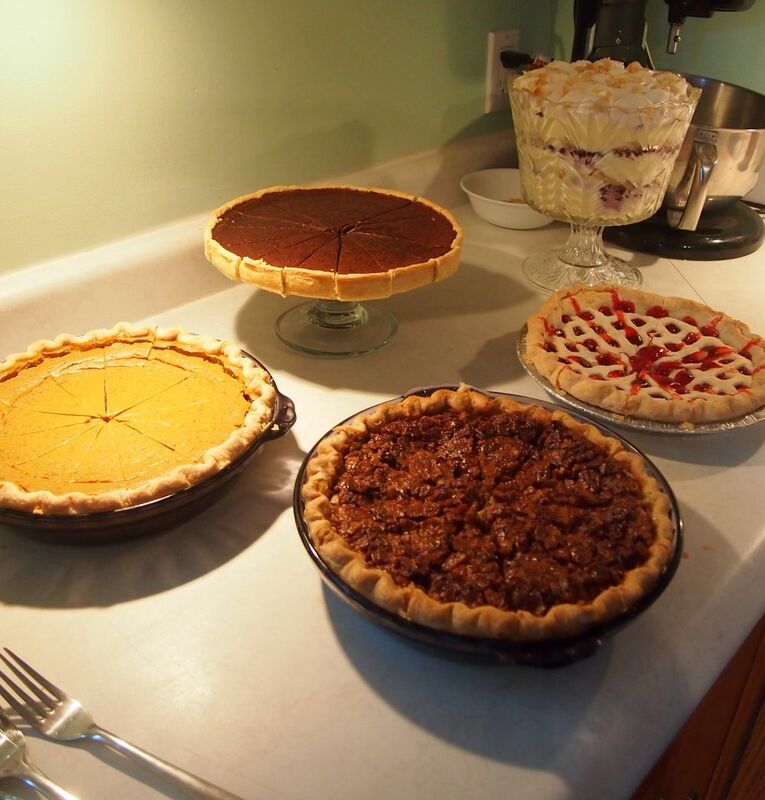 She made a pumpkin pie, cherry pie (straight from a can, because that’s what dad likes, haha), pecan pumpkin pie, and I contributed with a dark chocolate tart and I assembled a blueberry limoncello trifle. Everything was so good. Super dooper good. And there wasn’t even a crumb left of anything afterwards which made me sad. NO LEFTOVERS! OF ANYTHING!! And we had two turkeys…two 20lb turkeys. We had a lot of people over. 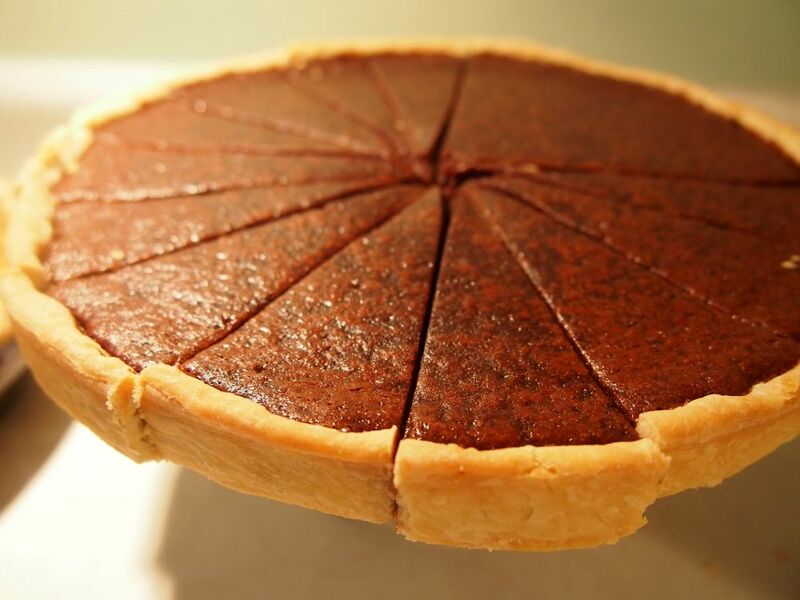 The chocolate tart was sort of a wildcard, I wasn’t sure how it would turn out. But it was fantastic! So rich and dense and fudgey and smooth and everything you would want it to be. You can find the recipe here ! So good. Instead of the coffee I used earl grey tea. Nom nom nom. This entry was posted in Pie and tagged brioche doughnuts, chocolate tart, doughnuts, fall, pie, strawberry cream doughnuts. Bookmark the permalink.